The Costume Institute Gala at New York's Metropolitan Museum of Art is the biggest event on the fashion fundraising calendar. Donned as the Oscars of the fashion industry, the annual & prestigious Met Gala is one of fashion's biggest nights, with the most famous faces from the realms of fashion, film, music and art come together to raise money for the Met's Costume Institute and celebrate the grand opening of its latest exhibition. The theme for this year’s event is “Heavenly Bodies: Fashion and the Catholic Imagination,” which saw many A-list celebrities dressing in some religious-themed outfits. As you would expect, hip-hop came out strong and represented themselves well. Rihanna, Migos, Childish Gambino, SZA, Cardi B, Nicki Minaj, and more all came out looking extra dapper. 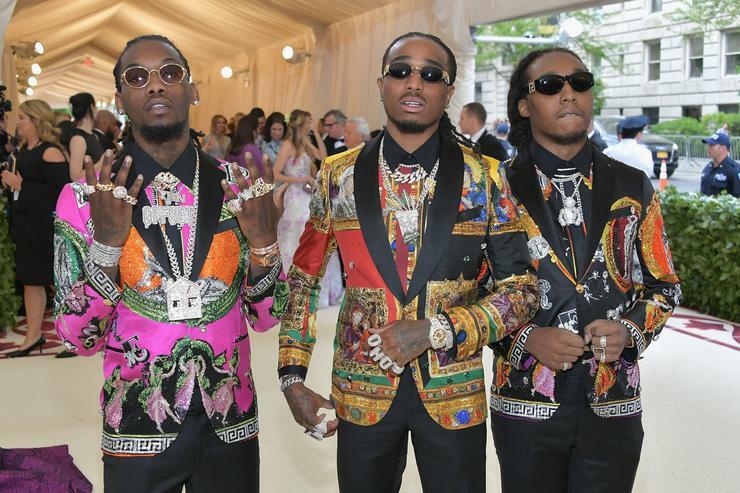 Migos wear matching versace suits. 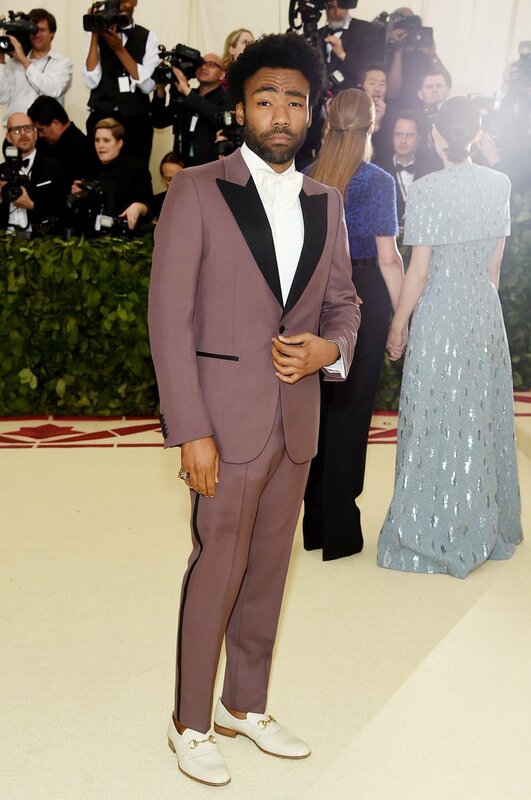 Childish Gambino rocks purple Gucci suit. In addition to the fashion, during her red carpet appearance, Nicki spilled the news that her next album will be called Queen, and will be dropping June 15th! “It’s a big night for me because I just let the world know that my album is coming on June 15, and it’s called Queen, and I can’t wait,” she told reporters. "Absolutely. I'm dressed like a queen everyday all day," Nicki added when asked if she was dressed like a "queen." Hours after the big album reveal was announced, another big moment for hip-hop went down, and that was Nicki and Cardi B spotted talking & taking selfie together. It appeared all is good between the two as they were caught smiling. Cardi B wears Moschino - came through dripping in pearls. 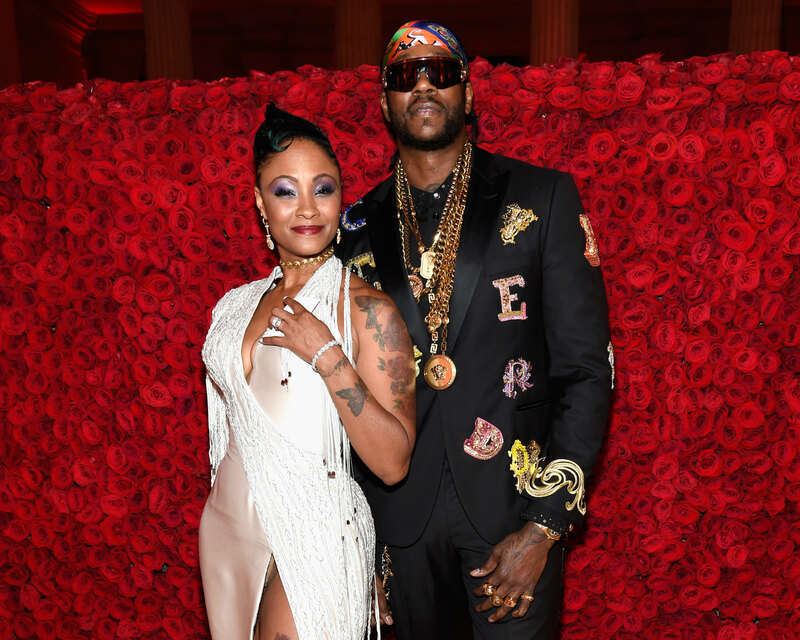 Meanwhile, 2 Chainz popped the question on the red carpet! 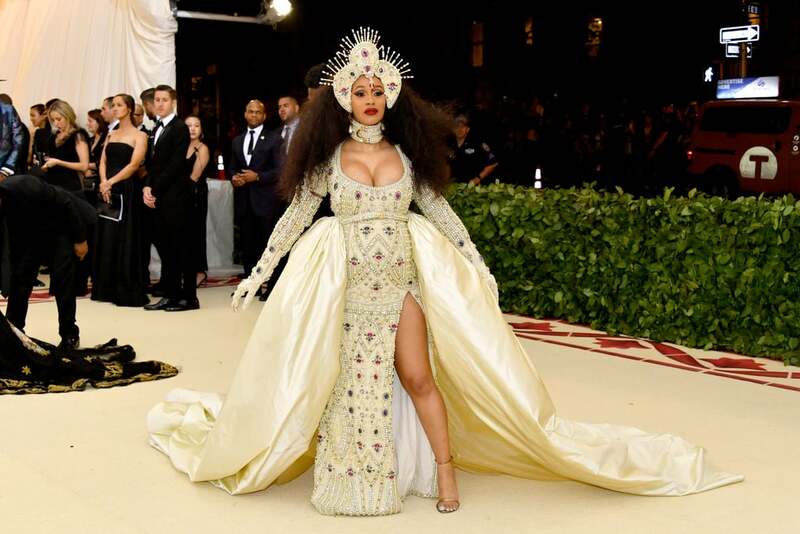 The rapper decided to steal the show during the Met Gala red carpet in the most memorable way possible when he got down on one knee and popped the question to his now fiancée, Kesha Ward.